Probably the last thing one would want to have happen is to run out of money during retirement, so it is good to take a hard look at what one’s anticipated income flow will be in retirement and what one’s anticipated expenses will be. 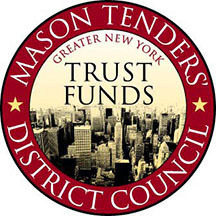 Members have easy access to information about their pension and annuity by registering on the Mason Tenders’ District Council Trust Funds website or by visiting the Trust Funds office, which is on the same floor as Local 79’s offices. In addition to their annuity, some members may have substantial savings and/or income-producing properties. Lastly, members can draw Social Security as early as when they reach 62. However, each year you wait to draw benefits (up until age 70), your monthly benefit will increase by a set percentage for the duration of your life. The Social Security Administration used to mail out yearly benefit statements. Now, you can access that information online by registering at the Social Security website. One of the key things to keep in mind about your income flow is the effect of inflation. You should think of a pension as fixed-income. If you are receiving $1000 a month, you should plan on receiving a $1000 a month for the rest of your life. Inflation, which increases the cost of goods and services, results in $1000 today buying more than it will ten years from now. It is impossible to know what inflation will be in the future, but the following example of how inflation can erode buying power follows: What one bought with $20.00 in 1995 would cost one $31.21 today (2015). The income produced by your annuity, savings, and income-producing property depends on a number of factors. Many retirement professionals suggest that you should plan on receiving 4% a year from your annuity. So, for example, if you have $100,000 in your annuity, you could expect to draw $4,000. This amount might change yearly if the annuity grows or shrinks. Since 1975, Social Security’s general benefit increases have been based on increases in the cost of living, as measured by the Consumer Price Index. Such increases are known as Cost-Of-Living Adjustments, or COLAs. But there isn’t always a COLA: in 2015 there was a decline in the Consumer Price Index, so there was no COLA payable in 2016. It is difficult to anticipate all future expenses, but it makes sense to look at your current expenses and then think about the ways they might increase or decrease in the future. For example, some people may wish to travel or dine out more when they retire, whereas others might see expenses like transportation to the workplace decrease. Members who want to have a free-of-charge discussion related to retirement may contact Local 79’s Director of Operations Thom Thacker at 212-465-7928. Be aware that he is not a Certified Financial Planner (CFP), but nonetheless will be able to provide you with some retirement planning forms and help you think through a number of issues. Members may also wish to contact a CFP, who will charge a fee for his or her services. Local 79 does not maintain a list of CFP’s that we recommend members use.